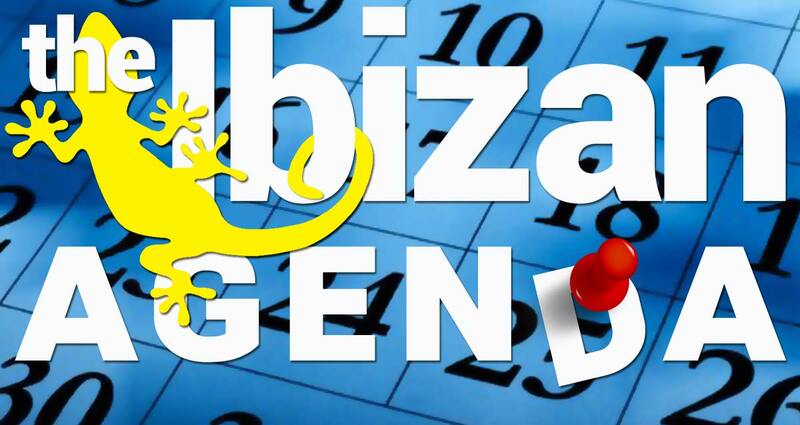 The Ibizan’s Tourism Advertising Promotion is designed to take the tourists from the hotels, and into your business. Distribution is a key strength of this promotion. Many magazines come and go, but we have been publishing for 20 years, and our distribution points are based on two decades of relationships in the tourism sector. The Ibizan and Ibiza Sun before it, are welcomed by Hotel management and reception staff as providing a service to their guests – and our tourism promotion puts the benefit of those relationships within reach of all businesses with an economical and effective route to reach the tourists. Double the Size, Double the Content, Double the Copies. 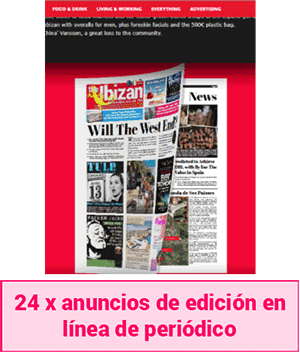 The Ibizan continues to print weekly from May to October, however the first issue of each month takes on a new format as a Tourist special edition. 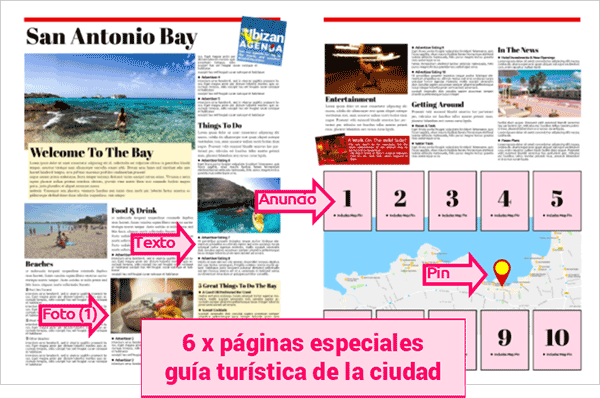 The tourist specials are double the size of the regular newspaper, with double the print run. Local news takes a back seat and instead we pack the newspaper with page after page of everything our tourists want to know, and a good amount they never knew they did. 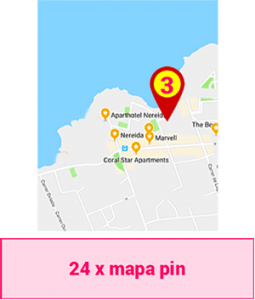 Food & Drink, Music & Clubbing, Day by Day Agenda, plus Local Area Guides and practical Island Information, all coming together to become the hotel receptionist’s best friend. Let’s start with the price – 33€ per week – which we feel should put it within reach of most businesses – but despite the modest price, there are lots of features included. The space to promote your brand and give contact information. To make finding you easy. Our eissue of the printed newspaper has a subscription and read count that near equals the printed newspaper, so doubling your exposure. 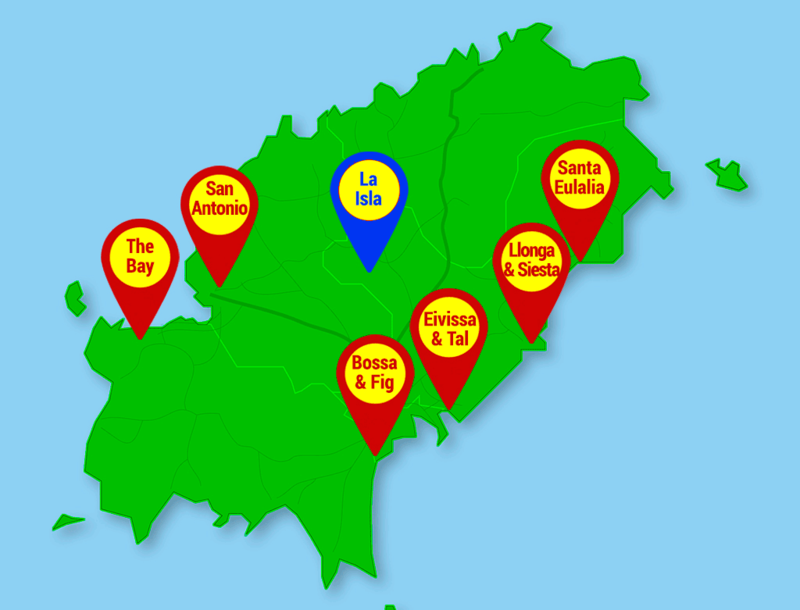 The monthly hotel bumper editions have pages devoted to the key tourist centres around the island. 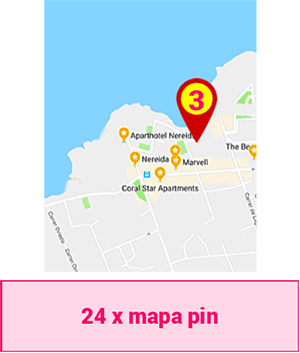 Your business gains a prominent position with location pin, plus 50 words of description text. Your business can list it’s special events and services at no extra charge, to be displayed in the printed newspaper, and the Ibizan website. We hope you’ll agree that is quite a lot for your 33€ investment. Over the season of 24 editions the total cost is 792€ sin iva. The standard payment terms are 50% at the outset, 50% by July 1st, but if you want to pay all up front we’ll thank you for the reduced administration with a further 10% discount, so reducing the weekly cost to 30€. What are the catches? Only one really, as much as we are happy to reward you for less administration with a 10% discount, we do apply a 10% surcharge for billing by monthly factura. It is a lot of extra work and we hope you will prefer to pay in one or two payments to minimise the paper chase and so help us keep the price low. Should you go for it? Of course we are biased, but we genuinely believe this promotion will work for many types of Ibiza tourism businesses, and will happily continue the discussion directly. For more information use the reply form below, or email the editor.